It looks like the big wave of time travel shows this season failed to attract a lot of viewers, as just a few weeks after ABC pulled Time After Time from its schedule, NBC has canceled its own temporal drama Timeless. This comes from Deadline, which suggests that Timeless’ cancellation is a mildly surprising move given the show’s “A-list pedigree” and “small loyal viewership,” but neither of those things ever translated into mainstream success, even if NBC was able to keep the show afloat by moving it around in the schedule. Apparently, network executives had fairly high hopes for the show, possibly because it was cheap enough that NBC still made a profit on it, and so they were reportedly “puzzled” by the fact that Timeless never took off. 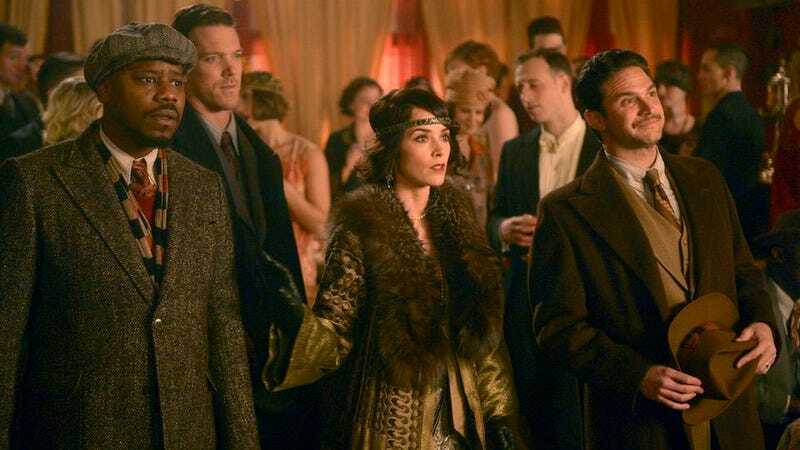 Back in January, NBC Entertainment president Jenifer Salke said she didn’t think it would “be like This Is Us,” but she was still “a little surprised that it didn’t settle in at a higher number.” Whatever the reason, Timeless’ time has ended, and the show’s season finale cliffhangers will go unresolved.